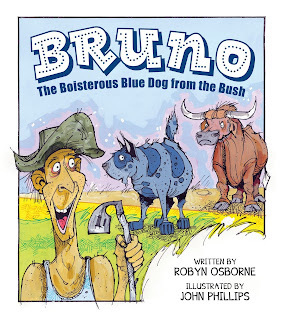 Bruno the Boisterous Blue Dog from the Bush is Robyn Osborne’s latest book. It was published by Big Sky Publishing and is available as a paperback ($14.99) and a hardback ($24.99). 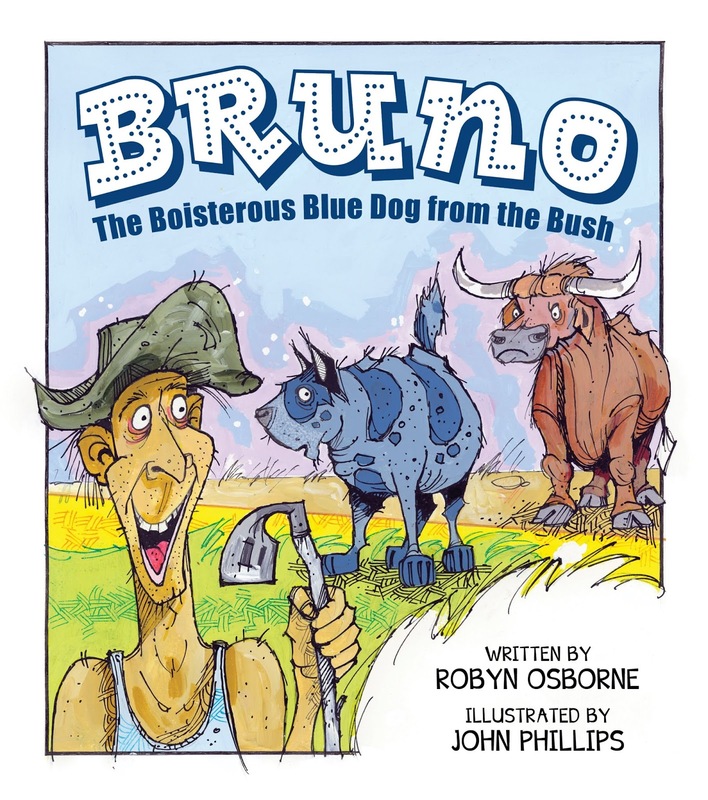 Barefoot Bob and Bruno the blue dog live together in a broken-down barracks surrounded by the beautiful Aussie bush. Although they don’t have much in the bank, they are the best of buddies and life is bonzer. Then one day Bob hits the bonanza, and everything changes. Without a backward glance, Bob and Bruno move to the big smoke. But is this fancy new life better than the one they had in the bush? 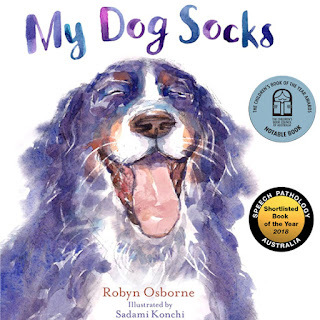 An alliterative tale which celebrates mateship and introduces young readers to the quintessential language of the Australian bush. My Dog Socks (Ford Street Publishing, 2017) is another book written by Robyn which has won a number of award stickers: it is a 2018 CBCA Notable Book and was shortlisted for the 2018 Speech Pathology Book of the Year.